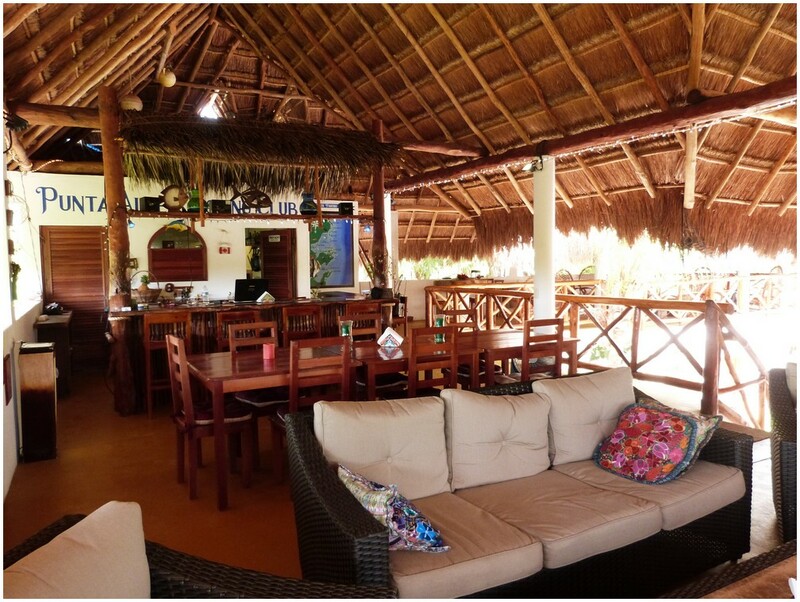 Our Lodge is nicely located between the lagoon, the beach and the local fishing village. If you want to take a short walk to the village or along the beach, you are only a few yards away. If you have a non-fishing companion, we can supply bicycles or organize eco tours and other tours. The Lodge is well designed for the comfort of our guests. For our guests, we have 5 comfortable rooms with Italian style bathrooms (beautifully tiled shower rooms). 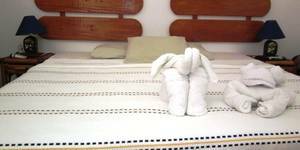 Guests have a choice of a room with either 2 single beds a king size or a queen size bed. Each room has a fan, air-conditioning, storage for clothing and gear. All bedrooms have their own private bathroom (with hairdryer). 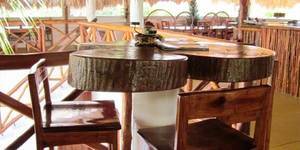 Upstairs, under a traditional Mayan Palapa (the largest in the village) there is the restaurant, bar and a lounge with fly-tying corner. Importantly, we also have a WIFI internet connection for the Lodge. Without modesty, we think that the Punta Allen Fishing Club is the perfect place to share your best fishing moments, perhaps whilst enjoying cocktails and our excellent home cooked appetizers. 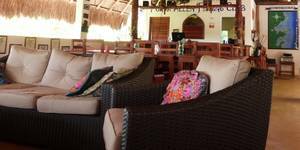 If you just want to relax, we of course have several comfortable sofas and Mexican hammocks. In our little shop, we have a selection of flies designed by Alain Barthelémy, Enrico Puglisi, Juan and Tiziano. A range of leaders, t-shirts, caps, shirts and post cards are also available. 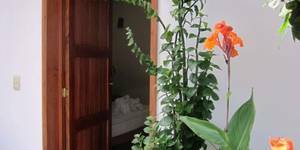 From November to March: 8 persons - 3 double rooms and 2 single rooms. From April to July : 10 persons - 3 double rooms, 2 singles and 1 suite. The suite has 2 rooms, 1 bathroom, outside patio, kitchenette, upper balcony and terrace - the ideal accommodation for a family with children. 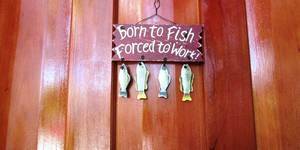 Ascension Bay is “the place” to fly fish for Permit, Tarpon, Bonefish and Snook. 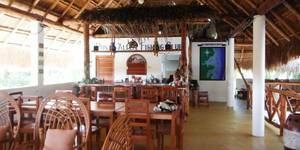 PUNTA ALLEN FISHING CLUB is an exclusive fly fishing Lodge in the heart of this bay, a 400 sq. miles (1036 sq. km) paradise within the Sian Ka'an reserve, designated by UNESCO as a world heritage site. The Lodge is modern (traditional stucco) with many amenities. The food and service are excellent. Our guides are simply the best. We provide, 1 guide per angler and can accommodate a max of 6 – 8 guests per week.